"The Eagle of the Ninth" will open nationwide on Friday, February 25, 2011. The Roman epic adventure, currently in post-production, is directed by Academy Award winner Kevin Macdonald and produced by Academy Award and Golden Globe Award nominee Duncan Kenworthy. Jeremy Brock, BAFTA Award-winning screenwriter of Mr. Macdonald’s 2006 film "The Last King of Scotland," has adapted the screenplay from Rosemary Sutcliff’s classic novel of the same name. "The Eagle of the Ninth" is set in the dangerous world of second-century Britain. In 140 AD, twenty years after the unexplained disappearance of the entire Ninth Legion in the mountains of Scotland, young centurion Marcus Aquila (played by Channing Tatum) arrives from Rome to solve the mystery and restore the reputation of his father, the commander of the Ninth. Accompanied only by his British slave Esca (Jamie Bell), Marcus sets out across Hadrian’s Wall into the uncharted highlands of Caledonia – to confront its savage tribes, make peace with his father’s memory, and retrieve the lost legion’s golden emblem, the Eagle of the Ninth. The movie also stars Donald Sutherland (pictured, with Tatum), Mark Strong, and Tahar Rahim. "Jane Eyre" will begin its platform release in selected cities on Friday, March, 2011. The film based on Charlotte Brontë’s classic novel just wrapped principal photography and is directed by Cary Fukunaga, whose debut feature was Focus’ award-winning "Sin Nombre." 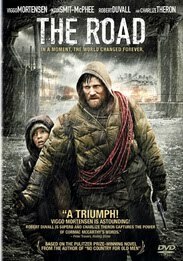 Mia Wasikowska, Michael Fassbender, Jamie Bell, Juid Dench, Sally Hawkins, Tamzin Merchant, and Imogen Poots star in the romantic drama. In the story, Jane Eyre (Ms. Wasikowska) flees Thornfield House, where she works as a governess for wealthy Edward Rochester (Mr. Fassbender). The isolated and imposing residence – and Mr. Rochester’s coldness – have sorely tested the young woman’s resilience, forged years earlier when she was orphaned. As Jane reflects upon her past and recovers her natural curiosity, she will return to Mr. Rochester – and the terrible secret that he is hiding. The screenplay adaptation is by Moira Buffini; Ruby Films’ Alison Owen, an Academy Award nominee for "Elizabeth," and Paul Trijbits are producing "Jane Eyre." Christine Langan, Creative Director of BBC Films, is executive-producing for the BBC. "Hanna" will open nationwide on Friday, April 8, 2011, and wraps production next month on location in Europe. BAFTA Award winner Joe Wright, whose films include Focus’ "Atonement" and "Pride & Prejudice," is directing the movie. "Hanna" stars Academy Award nominee Saoirse Ronan, Academy Award winner Cate Blanchett (left), and Eric Bana. Hanna (Ms. Ronan) is a teenage girl. Uniquely, she has the strength, the stamina, and the smarts of a solider; these come from being raised by her father (Mr. Bana), an ex-CIA man, in the wilds of Finland. Living a life unlike any other teenager, her upbringing and training have been one and the same, all geared to making her the perfect assassin. The turning point in her adolescence is a sharp one; sent into the world by her father on a mission, Hanna journeys stealthily across Europe while eluding agents dispatched after her by a ruthless intelligence operative with secrets of her own (Ms. Blanchett). As she nears her ultimate target, Hanna faces startling revelations about her existence and unexpected questions about her humanity. Hanna also stars Jason Flemyng, Tom Hollander, Olivia Williams, and Martin Wuttke. Seth Lochhead wrote the initial screenplay and has written subsequent drafts, as have David Farr, Joe Penhall, and Mr. Wright. Academy Award nominee Leslie Holleran ("Chocolat") is producing "Hanna" with the team of Marty Adelstein and Scott Nemes. 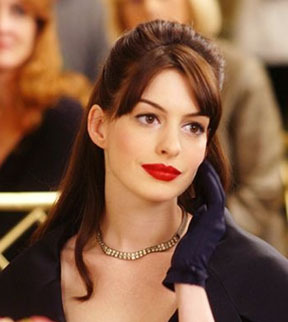 "One Day" will open in the third quarter of 2011, and will star Academy Award nominee Anne Hathaway (right, in "The Devil Wears Prada"). Production on the movie will commence in July, under the direction of Lone Scherfig, who most recently helmed the Best Picture Academy Award nominee "An Education." 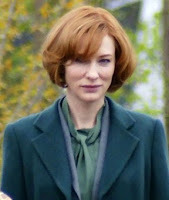 David Nicholls has completed adapting the screenplay, based on his acclaimed novel of the same name. Emma (Ms. Hathaway) and Dexter meet on the night of their graduation – July 15th, 1988. She is a working-class girl of principle and ambition who dreams of making the world a better place. He is a wealthy charmer who dreams that the world will be his playground. But where will they be on this day next year, and the year after that? Over 20 years, we check in on Emma and Dexter every July 15th, and watch as their friendship ebbs and flows with the passing of the years. Through love and loss, heartbreak and success, hopes fulfilled and dreams shattered, these two souls experience the sometimes wonderful, sometimes tragic, often hysterical but always moving, grandeur of life. Somewhere along their journey, they realize that sometimes what you are looking for has been right there in front of you all along. Current and upcoming 2010 Focus Features releases include the unique nonfiction feature "Babies," directed by Thomas Balmès; Anton Corbijn’s suspense thriller "The American," starring George Clooney; writer/directors Anna Boden and Ryan Fleck’s "It’s Kind of a Funny Story"; Academy Award-winning writer/director Sofia Coppola’s "Somewhere"; and Lisa Cholodenko’s "The Kids Are All Right," starring Annette Bening, Julianne Moore, and Mark Ruffalo. 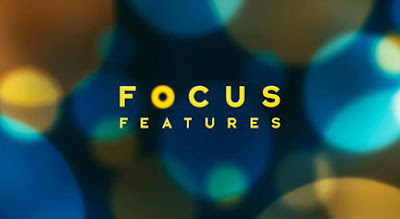 Focus Features and Focus Features International are part of NBC Universal, one of the world’s leading media and entertainment companies in the development, production, and marketing of entertainment, news, and information to a global audience. Formed in May 2004 through the combining of NBC and Vivendi Universal Entertainment, NBC Universal owns and operates a valuable portfolio of news and entertainment networks, a premier motion picture company, significant television production operations, a leading television stations group, and world-renowned theme parks. Writer/director Christopher Nolan ("The Dark Knight") returns with this sci-fi psychological thriller about dreams and the theft of secrets and other fun cloak-and-dagger, sci-fi psychological stuff. The cast? Oh, Leonardo DiCaprio, Michael Caine, Ellen Page, Joseph Gordon Levitt, Marion Cotillard, Cillian Murphy and more. Turn-ons: Too many to mention. This is THE event movie of the summer as far as I'm concerned, and possibly one of the better films of the year. (I hope I don't find myself eating those words.) Nolan's third Batman film was recently given a summer 2012 release date, but until then, "Inception" looks to be an excellent stand-in to sate the filmmaker's fans. Turn-offs: None to mention, really. If I must pick nits, the trailer makers should be ashamed for insisting on throwing in that obligatory, last-second bit of comic relief. Admittedly, it's classier than most, and doesn't affect my anticipation, but must every trailer include those annoying parting shots? Two doctors (played by Adrien Brody and Sarah Polley) break the rules and use human DNA to create something new and scary. Things, of course, go terribly wrong. Turn-ons: "Splice" comes from writer/director Vincenzo Natali, a cult visionary with bold ideas who gained notoriety with the home video hit "Cube," then thought way outside the box to deliver the conceptually intriguing "Nothing." It will be interesting to see what he does with more money in his pocket. And Sarah Polley is always welcome, be it in front of the camera or behind it. Turn-offs: This trailer is jam-packed with scare tactics and plot points so recycled, it's nearly laughable. I should hope Natali's most mainstream work isn't simply a tepid mash-up of "Alien" and "Species." Josh Brolin steps into the spurred boots of this supernatural comic book character, brought back to life to seek revenge and woo Megan Fox, all while sporting one nasty burn scar on his face. Turn-ons: "Jonah Hex" boasts a fun cast, with Brolin and Fox backed up by John Malkovich and the terrific Michael Fassbender as the film's odious villains. In the director's chair is Jimmy Hayward, who helmed the charming and great-looking "Horton Hears a Who!" Let's see if he can't make the most of Brolin's considerable skills in the down-home-bad-boy arena. Turn-offs: What was I saying about those last-second bits of comic relief? Really, though, this looks dangerously close to being the "Wild Wild West" of the superhero genre, and we all know how bad that Will Smith vehicle stunk. In my teens, I listened to a lot of hip hop, and I still have at least three urban stations programmed on my car stereo. All along, I've responded most to artists with more gritty, poetic styles -- The Roots, Talib Kweli, Erykah Badu and Common, an elegant rapper who, like his more popular peer, Ludacris, has made a rather smooth transition into acting. Cool and casual, he's no scene-stealer, but this 38-year-old performer (born Lonnie Rashied Lynn Jr.) compliments the films he appears in, and he's about to tackle his biggest role yet. In the romantic comedy "Just Wright," Common portrays a basketball star who falls for his trainer, played by Queen Latifah. The film, opening May 14, marks Common's first gig as the male lead. Previously, Common was seen primarily in action films, including "Smokin' Aces," "American Gangster," "Street Kings," "Wanted" and "Terminator Salvation." 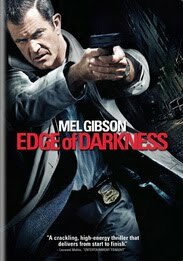 More recently, he co-starred in the Steve Carrell/Tina Fey action-comedy, "Date Night," as a corrupt cop. Co-starring Paula Patton ("Precious") and directed by Sanaa Hamri, "Just Wright," which features Common shooting most of his own hoops alongside NBA pro Dwight Howard, isn't the only career highlight on the way for this Grammy nominee. His latest album, "The Believer," drops in the fall. I may just wind up playing it in my car.